Hornady never ceases to find ways to provide unmatched accuracy in every facet of the shooting experience. The new Ammunition Concentricity Tool is the first tool on the market to both identify and eliminate bullet runout. 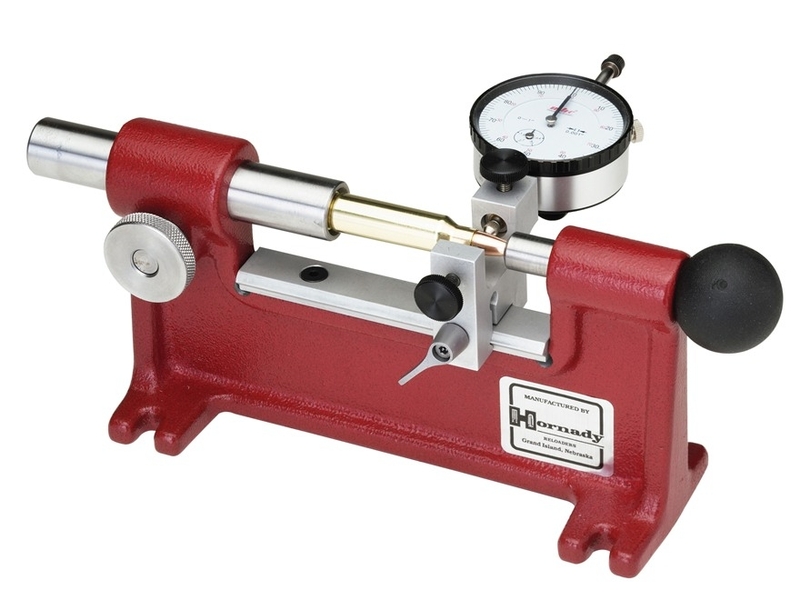 Just place ammunition in the tool, roll it, identify runout, and use the dial indicator to adjust runout to zero! It can be used to true-up factory ammunition, too.